I was solving some number puzzles. 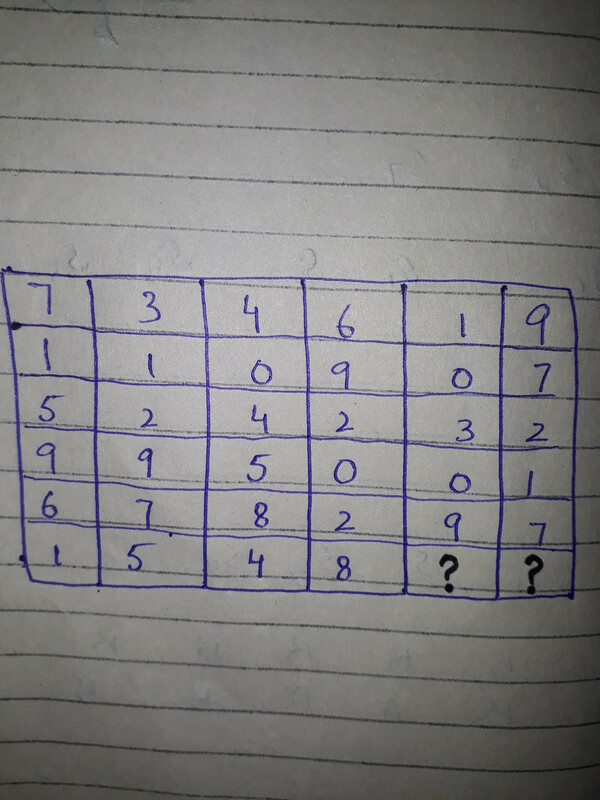 I am finding difficulty in solving this puzzle: which two numbers will replace the question marks? I need answer with explanation. Not the answer you're looking for? Browse other questions tagged pattern calculation-puzzle number-sequence or ask your own question.